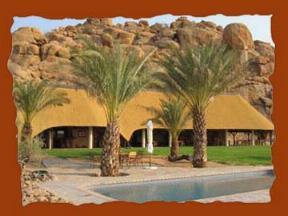 Set afoot massive, scared granite rock boulders, overlooking the magically beautiful range of the Erongo, is Ai-Aiba - The rock painting Lodge. The overwhelming panoramic view from the restaurant and bar will be amazing. The crystal clear pool invites you to refresh and dream. Your view sways leisurely over the endless landscape. 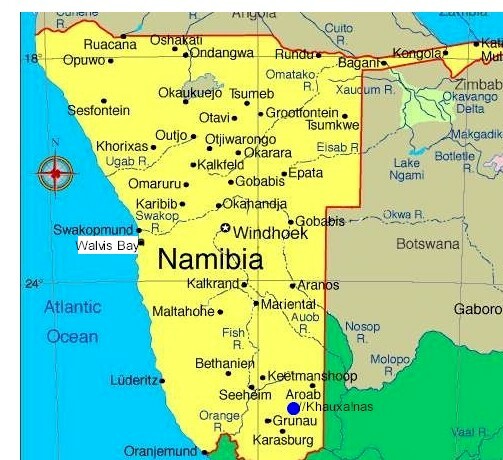 Here you can relax and enjoy Africa, pure. Near the lodge, numerous pre-historic rock paintings will draw you into the spell of mystic Africa. Visiting rock art on the neighbouring farms, Etemba and Omandumba, will enhance your experience of mysterious ancient African cultures. 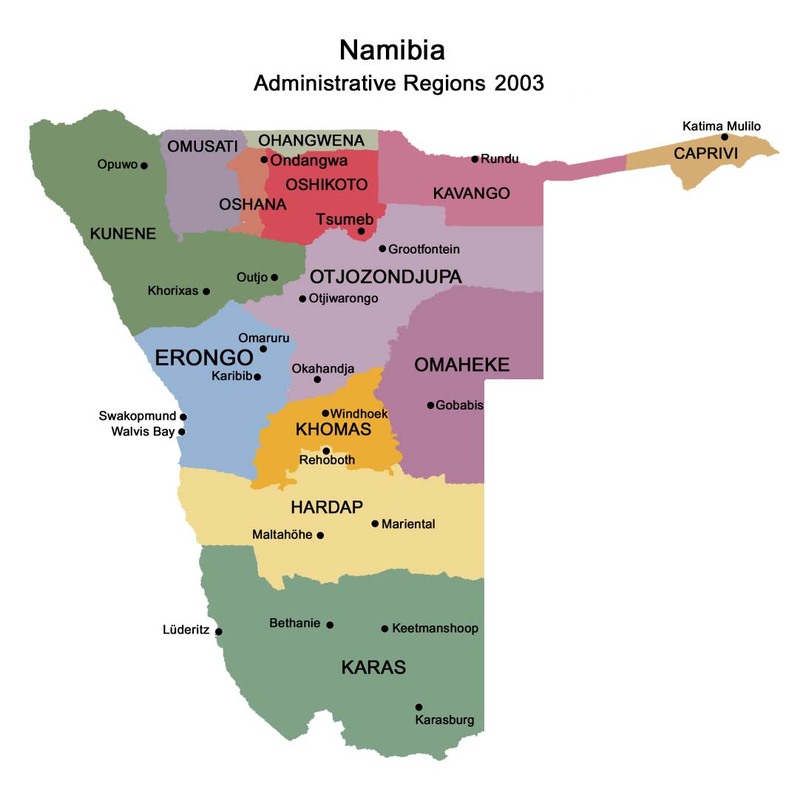 Ai-Aiba is an active member of the Erongo Mountain Nature Conservancy, an association of farmers dedicated to the protection and preservation of the unique fauna and flora, as well as the magnificent granite landscape of the Erongo. 10 thatch-roofed bungalows offer 20 luxurious double rooms with their own terrace, showers and separate WCs. 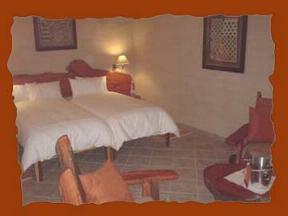 The rooms are tastefully furnished in African style. 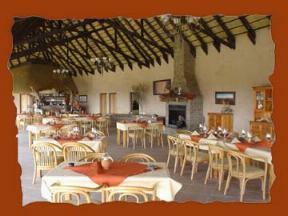 Lodge offer various guided walking trails, Etemba picnic tour (+- 6 hours).